As of January 2018, in a move to reduce market confusion with two brands of home health care agencies, the Group will now function under a single brand “AmeriCare Home Health“. 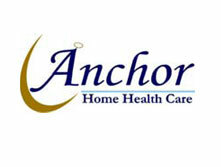 The move causes re-branding of two home health companies previously operating under the trade names- Anchor Home Health of Greater Cleveland (Fairview Park, Ohio) and Anchor Home Health of Greater Columbus (Columbus, Ohio). The Fairview Park home health office has relocated to Ravenna, Ohio.